OK so that might not be physically possible but I was playing around with excel and did the maths. 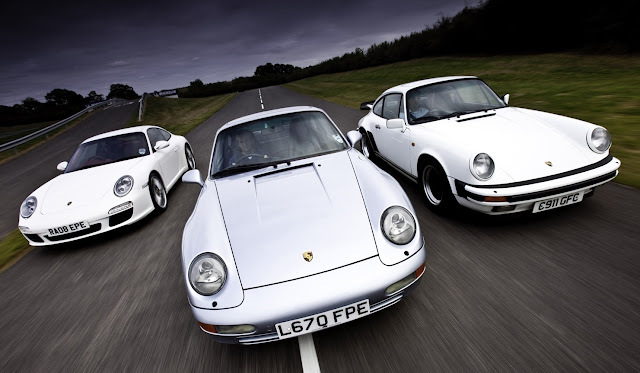 I took the 0-60mph time for each iteration of the Porsche 911 and compared it with the one before. I then worked out the average improvement in 0-60 time for each of the 911's 50 years. Next step was to work out how many years it would take for the 911 to accelerate to 60 in 0 seconds by reducing the 0-60 time by the average time by dividing the 991's 0-60 by the average annual reduction. According to my maths a Porsche 911 will do 0-60mph in 0 seconds in 2054. I then did the same with the BMW M3 and that will do 0-60mph in 0 seconds one year later, in 2055. Cool stats if a little pointless - unless we've invented time travel by 2054. If you want the spreadsheet to play around with the figures let me know and I'll email it you.